Image caption The Times claims it can reveal a “secret” Brexit plan between the PM and the EU. 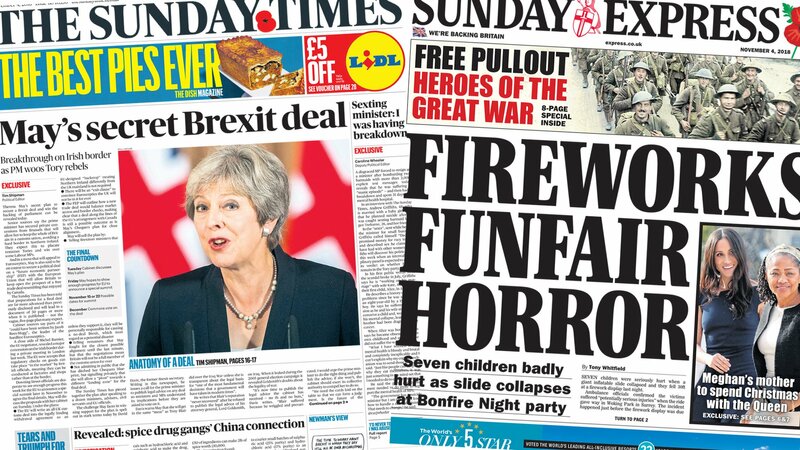 According to the paper – which says it has pieced together the plan from speaking to sources from both sides – Theresa May has “secured private concessions” from Europe. The paper says that under the deal the UK will be able to stay in the customs union, meaning no hard border in Ireland. Mrs May is also on course to striking an agreement allowing the UK to potentially still form a Canada-style trade deal, it adds. No deal has been yet announced.